Join us for an informative session with Attorney and Counselor at Law Steven W. Arrington as he offers information and addresses your questions about powers of attorney, the guardianship process and the significant differences between them. 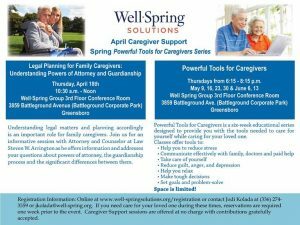 Registration info: Online at www.well-springsolutions.org/registration or contact Jodi Kolada at 336-274-3559 or jkolada@well-spring.org. If you need care for your loved one during these times, reservations are required one week prior to the event. 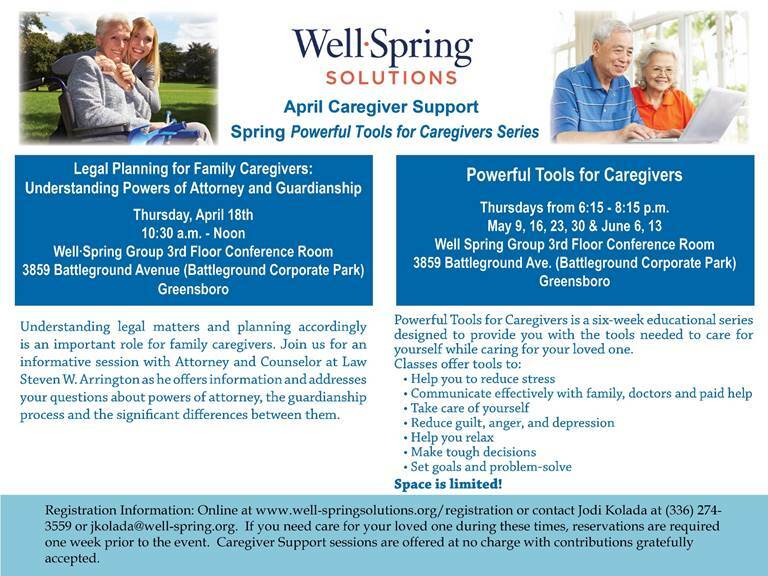 Caregiver Support session are offered at no charge with contributions gratefully accepted.